This document is a list of equipment for image digitization. Part of the Digital Stewardship Curriculum Module 1: Get It. 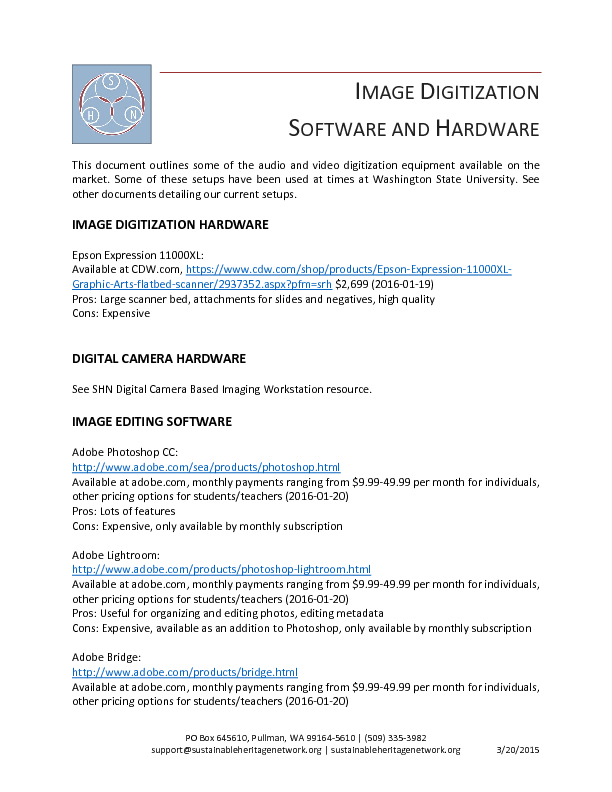 This document is a list of equipment and software recommended for image digitization. This information will help in researching equipment for your projects. The Center for Digital Scholarship and Curation does not endorse specific brands, but these examples will be a starting point for further research. This document is part of Module 1: Get It of the Digital Stewardship Curriculum. These slides are an introduction to images, format ID, and digital quality. Part of Digital Stewardship Curriculum Module 1: Get It.